Mid yellow in colour, with a delicious bouquet of lovely ripe apples and pears, this has great weight and healthy fresh acidity behind: it is spectacular and quite accessible but will doubtless show more restraint after bottling. This is very obviously grand cru quality. The Wine Advocate - Tasted blind at the annual Burgfest tasting in Bouilland. The 2013 Btard-Montrachet Grand Cru is slightly deeper in color than the example from Domaine de la Vougeraie. It has a rich and quite powerful bouquet, but it maintains impressive definition with very subtle tropical scents that do not impede against terroir expression. 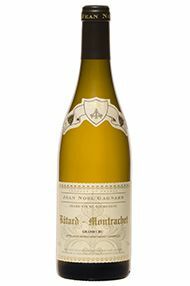 The palate is well balanced with crisp acidity, a rich and boisterous Btard-Montrachet determined to make an impression, laden with spice and tangy marmalade notes on the finish. What it might lack in sophistication it compensates with sheer bravura, although it does require a couple of years in bottle (as usual with this grand cru). 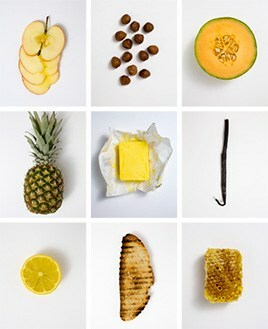 Tasted May 2016. 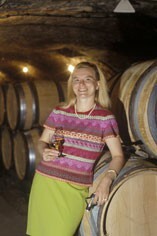 Since 1989 Caroline l’Estimé has been in charge of Domaine Jean-Noël Gagnard in their small cellar in Chassagne Montrachet. Caroline has fine-tuned, the holdings, increasing the number of white wine cuvées since her father’s time by separating out each different vineyard. She has also planted new sites in the Hautes-Côtes-de Beaune, including the very promising Clos Bortier (red). Caroline barrel ferments all her whites before ageing them for up to 18 months in oak casks. These wines truly reflect their terroirs and combine intensity and richness with elegance and balance. The domaine now covers 1 Grand Cru, Batard Montrachet, 9 white and 2 red Chassagne Montrachet Premier Crus, and Santenay Clos Tavannes 1er Cru red. Village Chassagne is represented by Les Masures (white) and a consumer friendly red wine known as Cuvée L' Estimée – a play on her own name and the concept of being esteemed. Their Hautes-Côtes de Beaune red and white are bottled under stelvin closures.